Turn to the professionals at The Window Store Home Improvement Center for the widest selection of new windows for your home in Manistique, Michigan, or a surrounding area. 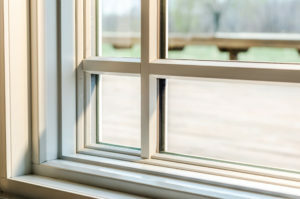 We proudly serve local residents with decades of experience offering high-quality, replacement windows that are designed to instantly enhance the energy efficiency of their homes. In fact, our top-tier products are uniquely designed to place less strain on your HVAC system during periods of intense heat or cold to produce a consistent internal temperature year-round. In order to achieve this, our products are crafted with Low-E coating and foam filled frames that will ensure no external temperature enters your home and no internal temperature leaks out. This may even lead to a reduction in your monthly energy bill. Additionally, at The Window Store, we understand that even the best windows won’t offer you any protection if they aren’t installed correctly. That is why we place such an importance on the way in which your new windows are installed. And, we feel so confident about the work our qualified installers perform that we offer an impressive two-year labor warranty in addition to any manufacturer warranties offered on the individual products you select. For more information about the home windows we offer to residents of Manistique, MI, and the surrounding communities, contact The Window Store today.